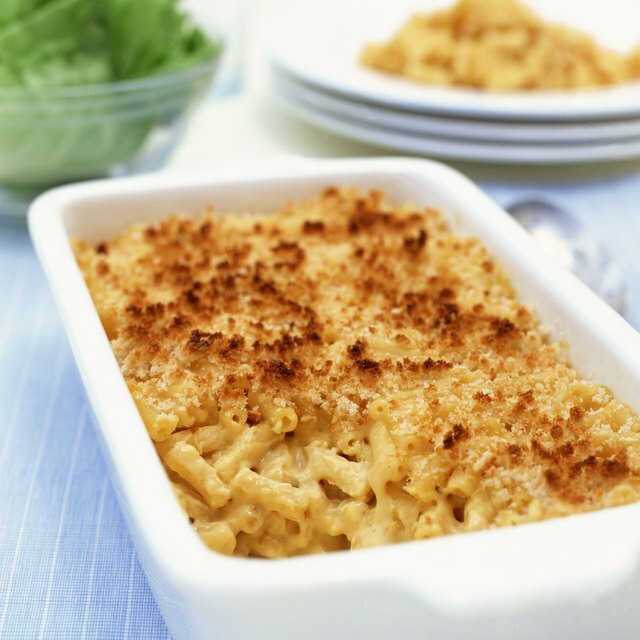 4 Can I Make Baked Macaroni & Cheese With No Flour or Butter? Raclette is both a type of cheese and a melted cheese dish. Raclette cheese is one of Switzerland's famous gourmet cheeses. Food that is cooked with the slow melting cheese on it or added to it is the Raclette dish. This dish used to only be made with true raclette cheese, hence the same name of raclette. However, other slow melting types of cheese dishes are known as raclette these days as long as it is made by scraping the cheese onto the food instead of dipping the food into melted cheese, like fondue. According to Gourmet Sleuth.com, the first raclette cheese and melted cheese dish was called Bratchas and dates back to 1291. It is believed that herdsman ate the raclette cheese, pickles and potatoes around a campfire. At some point, either by design or accident, the items ended up together in a melted cheese-covered meal and the dish raclette was born. Since then, other kinds of food such as fish, chicken and vegetables have been added to the raclette cheese dish. 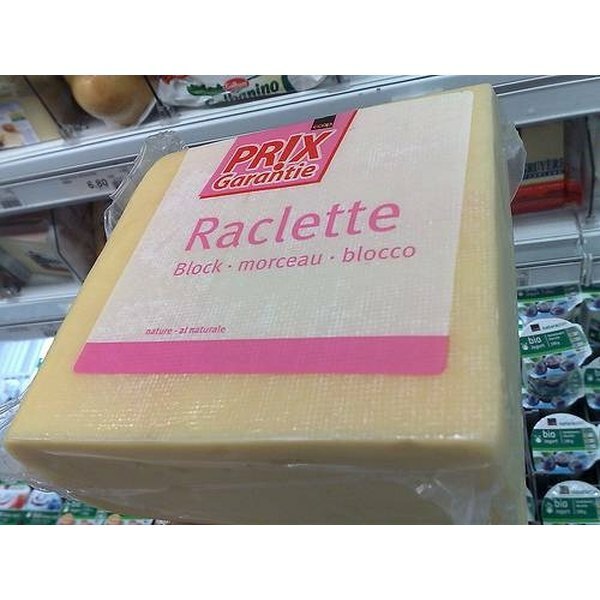 Raclette cheese is produced in Switzerland. It is also the most popular cheese in a country that produces hundreds of different cheeses. The original raclette cheese was a mountain cheese from the Valais canton of Switzerland. According to the CAB Abstracts database, Switzerland supplies 80 percent of the available raclette cheese. France and America also make raclette, cheese but Switzerland commands the raclette market. Raclette cheese is made from cow's milk and is a little like Swiss (Emmentaler) cheese, but without holes. It is formed into large wheels that then may be cut down and sold in smaller wedges. The taste is mild unless variations have been made by adding spices. The outer covering is beige with the inside being a creamy, softer texture. Other flavorings, for example wine or pepper are sometimes added. The cheese is normally aged for four months before using. The word raclette means "to scrape" and that is how the cheese is eaten. The original herdsman would put a wheel of the cheese above the campfire where it would melt. As it did, they would scrape off the top layer of melted cheese to eat before the rest could melt. In Switzerland, some still melt it over a campfire. However, now there are also raclette machines and grills that are used for melting the cheese. There are special utensils for scraping up the melted cheese and applying it to the desired foods. Raclette parties are a way to gather with friends and enjoy a good meal. They are reminiscent of the fondue parties of the 1970s. Ask guests to bring a desired ingredient for the raclette. That way, the party ends up with a variety of choices to use with the melted cheese as well as help keep costs down for the host. Since making the raclette dish involves melting cheese, you can substitute other cheeses that melt well. For example Gouda, Alpsburg and Gruyere cheeses, among others, work when making a raclette dinner.